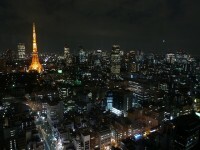 Tokyo is one of the largest, most crowded metropolises on the planet; it contains twenty-six cities and twenty-three wards, and with its over 13 million inhabitants, it could be a medium country on its own. Needless to say, with this many people and several huge universities drawing youngsters from all over the country, Tokyo has a nightlife scene that doesn’t have its equal anywhere else in Japan. Tokyo has its fair share of cultural attractions, but in the evening it becomes a bewildering, fantastic and unique nightlife paradise, where you can find all the nightlife venues you could dream of, and hundreds more that you didn’t know could exist. For a party person, Tokyo has countless choices for nightly entertainment, from quiet pubs, elegant bars, loud nightclubs and specialty clubs. Before you venture into this confusing maze, here’s a guide to Tokyo’s nightlife. Irish pubs might be the most famous type of pub in the world, but the typical Japanese bar, the izakaya, is a must-visit for anyone who wants to experience authentic Japanese nightlife. 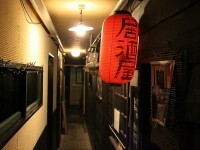 Izakayas are the bars of choice of young professionals, students and office workers who want to grab a drink after work. Izakayas are open till quite late, and in addition to beer and sake they offer a n ice selection of Japanese dishes and snacks. Some of the most well known izakayas are Murasaki and Tengu, which have several locations in the city. If you don’t know any Japanese, izakayas like Shirokiya and Tsubohachi have touchscreen menus with pictures. Dance clubs are very popular with young Tokyoites, but mostly with those who have some disposable income, as the cover charges to most clubs are quite expensive (but they do cover a few drinks too). Roppongi has some of the best nightclubs in the city, and some of the naughtiest too. Don’t be surprised if hosts and hostesses on the street will try to convince you to enter their clubs. Host and hostess clubs can be an interesting experience (you get to be entertained by the staff), but very expensive, as you have to pay for both your drinks and the drinks and fee of the host/hostess. 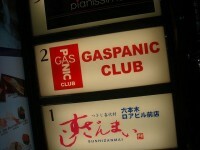 If you need the comforting presence of other expats, you can try Gas Panic and Castillo in Ropppongi, or The Tokyoites and Rolling Stones in Shinjuku. Shibuya has quite a few trendy clubs, such as Womb or La Fabrique. So-called live houses are the best way to experience Tokyo’s bustling music scene, and you can get acquainted with some of the most popular local bands, or be among the first who discover some up and coming act. 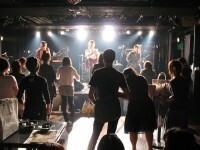 O-Nest in Shibuya is a small venue where underground and innovative bands play usually. Loft in Shinjuku is the biggest live house in Tokyo, and one that every live music fan should check out. Another venue that couldn’t miss from a guide to Tokyo’s nightlife is Que, in Shimokitazawa, where you can listen to power pop and melodic rock.